On a choppy voyage to Antarctica in 1928, the crew of the ship that would eventually be rechristened as the Vamar bestowed upon their vessel an optimistic nickname: Evermore Rolling. It proved to be a bit of a misnomer. Far from slicing through cresting waves forever, the ship sank near Florida in 1942, 3.7 miles from the shore of Mexico Beach, possibly because it was loaded down with too much lumber. It was wrecked, true, but its story didnt end there. 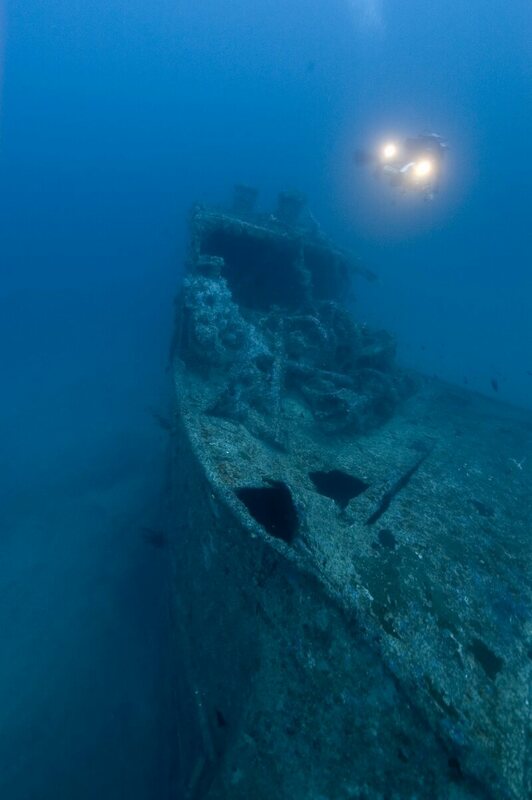 In 2004, the shipwreck was designated as one of Floridas Underwater Archaeological Preserves; it was added to the National Register of Historic Places two years later. Now, the sepia, green, and gold waters around it are full of life. Fish dart through the ruins of the mangled iron broiler, and plants shoot up through the piecemeal hull and beams. Sea turtles scratch their shells against iron bars splayed out just above the sandy seabed, leaving burnt-orange rust behind them. Divers drop by to take it all in. For years, archaeologists have mainly been concerned with what climate change might do to places where the land meets the water. Theyve examined ways to stave off rising tides by buffering sites that will be swamped, hauling things to higher ground, or documenting whatever they can in the waters path. For these sites that are not yet damp, water is a threatsometimes a distant one, sometimes one thats gaining groundbut for the wrecks, its a foregone conclusion. That ship has sailedand sunk. With climate change, sea-level rise is the most obvious thing people are used to hearing about, and the most easily dismissed with submerged sites, says Jeneva Wright, an underwater archaeologist and research fellow at East Carolina University. Sea-level rise is far from the only climate-related threat facing submerged sites, though: Wright outlined a handful of others in a 2016 paper in the Journal of Maritime Archaeology, written when she was working as an archaeologist in the National Parks Services Submerged Resources Center. Across the field, theres admittedly little data about some of these risks, and Wright says that archaeologists would do well to collaborate with biologists, ecologists, oceanographers, and other scientists who have amassed much more information about what a changing climate will do to parts of these ecosystems. For now, Wright describes her reading of these risks as theoretical, hypothetical, and logical, meaning that though theres fairly limited research within archaeology, these forecasts square with projections that researchers in other fields have arrived at, after starting to scrutinize the future effects of climate change on, for instance, ocean chemistry, reefs, and other marine life. One way to get a handle on all of these dangers is to track them. That can be tricky, because archaeologists and rangers dont always stop by to regularly check in on watery wrecks as easily as they do terrestrial sites, says Sara Ayers-Rigsby, director of the southwest and southeast branches of the Florida Public Archaeology Network (FPAN), a project based out of the division of archaeology and anthropology at the University of West Florida and Florida Atlantic University. These sights are very much out of sight, out of mind for everyone who doesnt dive, says Della Scott-Ireton, the associate director of the FPAN program. But in Florida, a lot of people do dive. Tourists often come to Florida to explore the 12 underwater archaeological preserves scattered all around the states perimeter, or the nine wrecks that dot the reefs and sandy floor of the Florida Keys National Marine Sanctuary, managed by the National Oceanic & Atmospheric Administration. 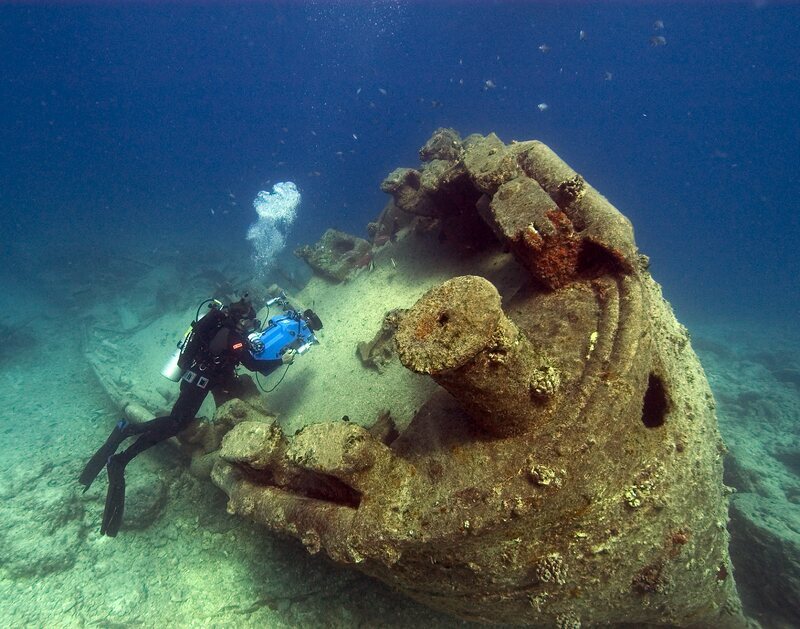 NOAA has devised a Shipwreck Trail, which divers are welcome to visit, and the Department of State has documented the sunken bows, sterns, and other portions of the wrecks that comprise what it calls Museums in the Sea. Scott-Ireton describes places like these as low-hanging fruit: Since divers will already be there, FPAN stands to benefit from persuading them to jot down some observations while they swim around. Tapping into the citizen science brain trust is logical, because tourist divers already have their goggled eyes on the seabed. 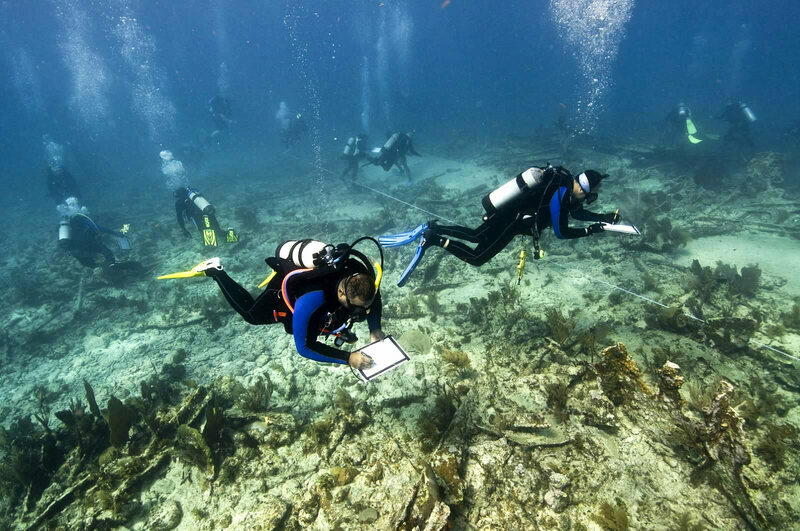 FPAN runs trainings in archaeological stewardship for sport divers, and earlier this summer, began adapting its Heritage Monitoring Scouts programa self-guided citizen science effortto include observations of underwater sites. Participants will descend with a waterproof mylar form for recording their observations, and look around for evidence of climate impacts (say, sediment buildup or disappearance), as well as other changes, like traces of looting or vandalism. So far, FPAN has received ten forms, Ayers-Rigsby says, including some that document sites that the archaeologists didnt yet have on file. Eventually, Scott-Ireton hopes to be able to loan out salinity meters so that divers can take measurements and report back, but that will depend on future funding. interesting, except for the climate change nonsense. I suspect a healthy Obama-grant somehow paid for her dinner. Democrats pride themselves as “agents of change”. They elected Saint Obama twice on the promise of unspecified “Change”. And they have spent the first 2½ years of the Trump administration promising change if you will only vote for democrats. They apparently love change, but only if it is manmade by democrats . Their big environmental campaign plank for the last half century has been to halt natural processes and changes in the environment that have been shaping the planet for billions of years. They want to freeze the oceans, rivers, continents, glaciers, atmosphere and everything in the world and keep it all as it was at some point in the last half century. Or do they just want total control over the lives of others? My uncle told me returning from the Philippines at the end of WWII, they were dumping all sorts of military vehicles overboard before they got to San Francisco. I have a feeling that massive hordes of divers swimming around and combing through the shipwrecks present a greater danger to the artifacts than rising sea levels. A recent ship fire and sinking sent 30 hotrod Porsches down 15,000 feet. It’s not likely they’ll be recovered. Thanks vannrox. Adding to the GGG list, but not pinging. Hmm, okay, maybe I will ping it, because of that tidbit from the Odyssey, that Odysseus lived in many cities of men and learnt their mind. :^) The thing about ancient wrecks is, they're WRECKS. Most known wrecks have been identified in shallow waters (that's where the pointy rocks hide that poke holes in hulls) and generally little is left apart from some of their cargo. 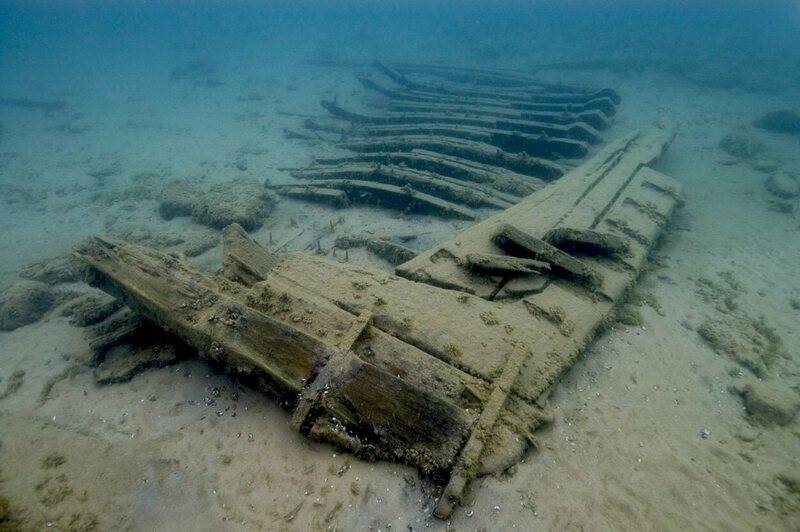 Deepwater wrecks probably resulted from sudden large storms, and secondarily ship-ramming combat, and as we've seen from the Black Sea, they can be remarkably well preserved. Since they've been down there, the climate -- which is 100 percent natural 100 percent of the time -- has swung through centuries of changes, and more than once, and with no especially egregious results. WTH, ping to GGG, and this will be our weekly digest ping. Rough weather, or just Truman's orders? And let's not forget the Andrea Doria. Illegal scrappers present a far greater threat to sunken ships in the Far East. Several warships in shallow water around Java and Malaysia have already been virtually (if not completely) destroyed by them. These morons want to conserve everything except traditional American culture. That they want to destroy. PROVE something for pete’s sake. Better yet find real work and stfu.